Federal Crime Appeals Attorneys - Oberheiden, P.C. What Are My Chances Of Winning A Federal Criminal Appeal? If you have been convicted of a federal crime, an important consideration in determining whether you should file and pursue an appeal in a federal court of appeals is the likelihood of success of such a filing. Of course, your freedom, reputation, and financial security are of utmost importance, and it may be worth filing an appeal even when your chance of success appears low. On the other hand, appeals are time-consuming and expensive, so you may decide that continuing to pursue justice for your case is not worth the risk. Keep in mind that this decision must be made very soon after your case is over, because you have only days to file the notice of appeal from the trial court once you are sentenced. While it is commonly thought that almost no convictions are overturned on appeal, the truth is that a study in 2006 found that an average of 68.5 percent of federal criminal cases were completely affirmed on appeal, and 7.8 percent of the appeals were dismissed. This means that over twenty percent, or one in five, criminal appeals found at least some success. 2.8 percent were affirmed in part and reversed in part, 9.3 percent were remanded to the trial court for further action, and 11.7 percent were reversed. See Federal Criminal Appeals: A Brief Empirical Perspective, Michael Heise, 93 Marquette Law Review 825, 829 (2009). Our experience at Oberheiden, P.C. is that these numbers have remained substantially the same for the past decade and continuing today. This means that while the odds are in the government’s favor on appeal from a conviction, you still have a better than one in ten shot at winning your appeal and obtaining either an acquittal or, more likely, an order for a new trial. The “First Circuit” (covering all federal U.S. District Courts that are located in Maine, New Hampshire, Massachusetts, Rhode Island, and Puerto Rico) has a 25.2% percentage rate of cases reversed, remanded, or partially reversed. The “Second Circuit” (covering all federal U.S. District Courts that are located in Connecticut, New York, and Vermont) has a 35.0% percentage rate of cases reversed, remanded, or partially reversed. The “Third Circuit” (covering all federal U.S. District Courts that are located in Delaware, New Jersey, Pennsylvania, U.S. Virgin Islands) has a 32.5% percentage rate of cases reversed, remanded, or partially reversed. The “Fourth Circuit” (covering all federal U.S. District Courts that are located in Virginia, North Carolina, South Carolina, Maryland, and West Virginia) has a 19.8% percentage rate of cases reversed, remanded, or partially reversed. The “Fifth Circuit” (covering all federal U.S. District Courts that are located in Louisiana, Texas, and Mississippi) has a 21.7% percentage rate of cases reversed, remanded, or partially reversed. The “Sixth Circuit” (covering all federal U.S. District Courts that are located in Ohio, Michigan, Kentucky, and Tennessee) has a 32.7% percentage rate of cases reversed, remanded, or partially reversed. The “Seventh Circuit” (covering all federal U.S. District Courts that are located in Illinois, Indiana, and Wisconsin) has a 21.0% percentage rate of cases reversed, remanded, or partially reversed. The “Eighth Circuit” (covering all federal U.S. District Courts that are located in Arkansas, Iowa, Minnesota, Missouri, Nebraska, and North and South Dakota) has a 12.8% percentage rate of cases reversed, remanded, or partially reversed. The “Ninth Circuit” (covering all federal U.S. District Courts that are located in California, Hawaii, Alaska, Arizona, Idaho, Montana, Nevada, Oregon, Washington, Guam, and the Northern Mariana Islands) has a 35.8% percentage rate of cases reversed, remanded, or partially reversed. The “Tenth Circuit” (covering all federal U.S. District Courts that are located in Colorado, Kansas, Oklahoma, New Mexico, Utah, and Wyoming) has a 14.0% percentage rate of cases reversed, remanded, or partially reversed. The “Eleventh Circuit” (covering all federal U.S. District Courts that are located in Georgia, Alabama, and Florida) has a 14.4% percentage rate of cases reversed, remanded, or partially reversed. The C. Circuit (covering Washington D.C.) has a 44.9% percentage rate of cases reversed, remanded, or partially reversed. Note that the study captured one point in time; while the numbers do not seem to have changed significantly, the amount of times a court reverses criminal convictions may vary from year to year depending on the cases with which it is presented and any changes in the law coming from the court of appeals itself or the United States Supreme Court. Winning an appeal is difficult, time-consuming, and costly. Even the best efforts of a talented attorney may not be enough to overcome the presumptions that are put in place once a conviction has been obtained. However, choosing your attorney wisely will put you in the best position to reverse the trial court or jury’s decision. Your trial attorney may not be the best lawyer to handle your appeal. Appeals turn on nuances of legal argument that require the utmost dedication and skill in researching relevant case law and crafting a persuasive written argument to present to the court in the appellate brief. Oral arguments are rarely granted, but a good brief will increase the chance of an argument being held. If so, you will again need an attorney who is succinct, persuasive, and can respond eloquently to questions posed by skilled justices. You should also note that even if your conviction is overturned, in many cases, the case will be sent back to the trial court and the prosecution will be allowed to try it again. 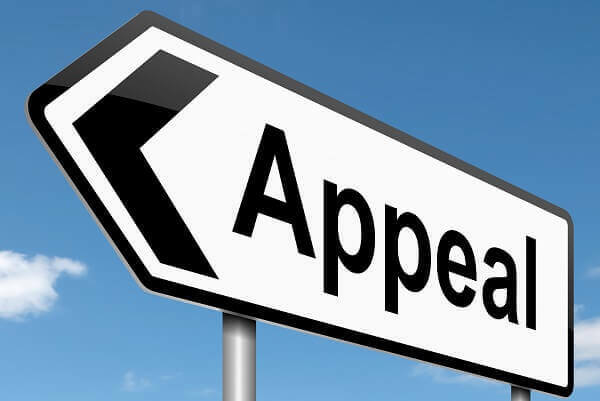 However, proper handling of an appeal and ensuring that all issues are considered and decided by the appellate court may reduce the amount of issues left to be tried in your case or strictly limit the prosecution’s ability to present certain evidence. Our attorneys believe that no case is beyond hope, and that complete preparation, detailed research, and well-written arguments can improve your chances of a conviction being overturned by a court of appeals. Superior writing skills, unparalleled knowledge of the law, attention to detail, and an ability to persuade federal judges are all needed for your appeal to have the best chance of success. Our attorneys have the expert writing skills, unequaled knowledge of the law, orientation to detail, and persuasive ability to ensure that your rights are protected after trial and that your appeal has the best chance to succeed. If you have been convicted of a federal crime, and want to discuss your options on appeal, contact our team today for a free and confidential consultation. Your best chance of success lies with the right attorney for you.